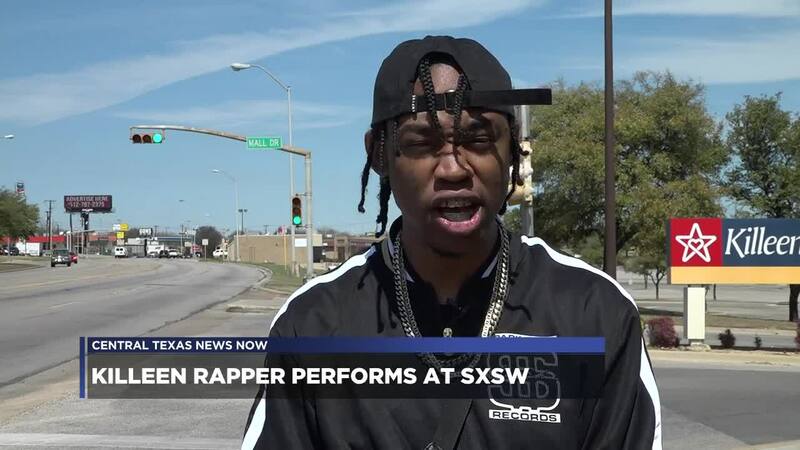 KILLEEN, TX — A Killeen rapper is garnering national attention after performing at SXSW. “SXSW was crazy, my itinerary, my schedule was nuts you know, didn’t get a lot of rest but got a lot of work done. At the end of the day, this is the life I chose,” said Spark. Spark, or SparkDawg, signed with grammy-award winning, multi-platinum producer Drumma Boy back in August. He is known for working with artists such as Drake, Lil’ Wayne and Kanye West. Born Michael Cunningham, he moved to Killeen when his father was stationed at Fort Hood at a young age. He realized he had a talent for rhymes and writing while going through the Killeen ISD school system. “Especially coming from a small town, people don’t really think music, when they think Killeen. Honestly, when I meet people for the first time, in the music industry, the first time they hear of Killeen is when I introduce myself and say ‘I’m from Killeen, Texas.’ So you know to be what some might say is the face of the city musically is something that humbles me and I’m honored by it,” he said. While his career has brought him to live in Atlanta, he says he has strong roots in Killeen. “It’s all a blessing and I take it in stride and my mom is super proud,” said Spark. Spark is also celebrating the release of a compilation album. “The Collective Project,” presented by Drumma Boy and Drum Squad Records is available across all streaming platforms.